Her vision extended beyond the conceptual framework of her time, into a cosmos that was previously unknown. She injected her ideas into the works in the Temple Series, which she began working on in 1906, and considered to be her own spiritual last will and testament. This would prove to be Hilma af Klint’s (1862–1944) personal breakthrough, and a life-determining crossroads. However, the world at large remained oblivious to her achievements for decades. 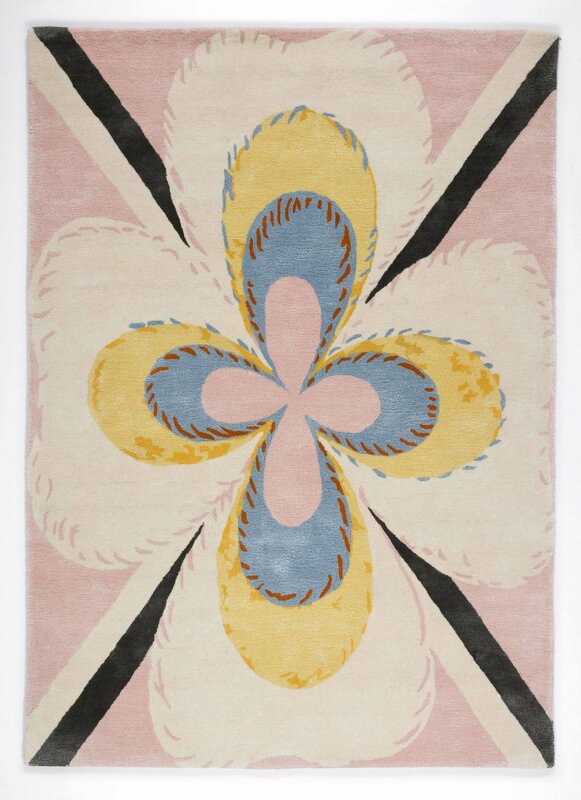 CFHILL is proud to present six fine carpets featuring motifs from the series, translated into textile form. In just over a month, she is set be the first Swedish arti­­st ever to be featured at New York’s art venue par excellence, the Guggenheim, where her Temple Serieswill be prominently placed within its famous spiral galleries. These 193 paintings were made between 1906 and 1915, and visually summarise a new, dualistic description of creation and the universe. The series is based on the ideas of the spiritual and intellectual movements of the times, reinterpreting them as peculiar, abstract symbolic paintings. These are probably the earliest fully non-depictive artworks in the modern era. A few years later, Picasso and Braque would make their first cubist paintings. 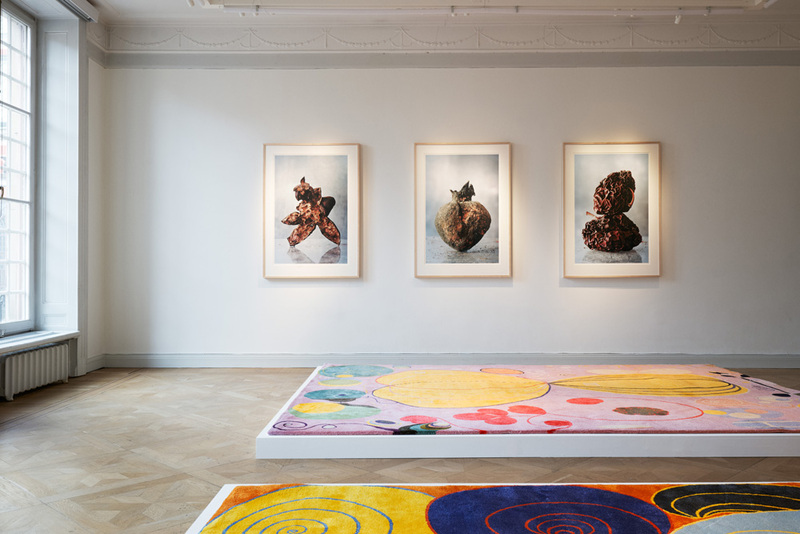 ASPLUND has developed a limited edition of hand-knotted rugs in collaboration with the Hilma af Klint Foundation, which CFHILL has been granted the exclusive rights to sell. Their studio is located in the Indian carpet district of Mirzapur, which is famous for the skill of its craftspeople and its high standards in terms of workers’ conditions. The yarns, which consist of New Zealand wool and silk, have been dyed to match her characteristic shades: violet, warm red, pink, blue, and dark grey. – In Sweden, we have grown accustomed to interiors decorated with fantastic rugs. This is much thanks to the efforts of like Josef Frank and Barbro Nilsson. Hilma af Klint’s oeuvre is so powerful that it can geniuses be easily materialised as a wall hanging, or on the floor, without losing any of its impact. A piece like this lends a warm, spiritual mood to the entire room. These carpets feel like classics already, says Michael Storåkers of CFHILL. – We’ve been working on this project for almost two years, looking for a way to produce rugs with the right colours and the correct reproductions of the patterns, and we’re incredibly proud of the results and the quality of these products. We are greatly honoured to have been trusted with this task by the Hilma af Klint Foundation.